At today's iPhone-centric event, Apple briefly introduced a new second-generation AirPods case that features support for wireless charging. 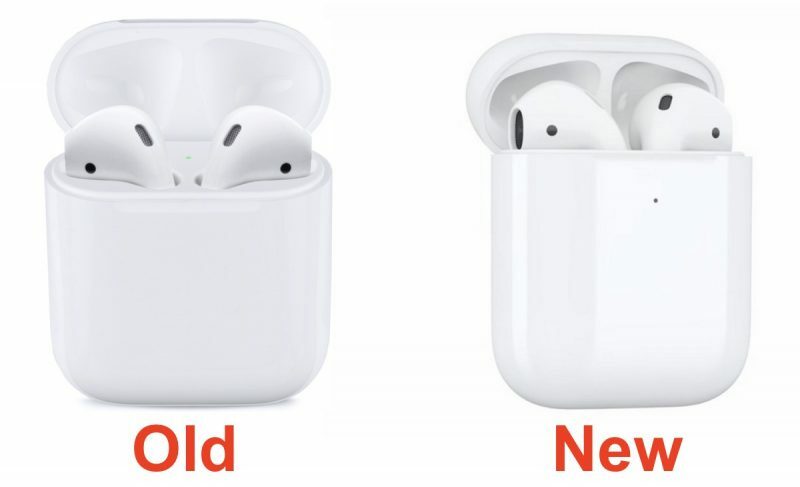 The AirPods Case is physically identical to the current-generation AirPods Case, with the exception of a charging indicator light located on the outside of the case instead of the inside. Apple's new AirPods Case will work with the company's upcoming "AirPower" wireless charging mat, which will be able to charge the AirPods, the Apple Watch Series 3, and the iPhone X or iPhone 8 simultaneously. Apple does not yet appear to be offering the new AirPods Case either on a standalone basis or in a set with AirPods. It may be coming at a later date, as the AirPower charging accessory is not expected to ship until 2018. Missed opportunity to change the "molds" in the case to where you could just easily put the AirPods into the case after taking them out of your ears without having to rotate them. And taking them out, you have to rotate them before putting them in your ear. Just don't understand that design? I just put them on, put them away. Never been concerned with or worried about rotation. Does anyone know if the new Airpods are using the W2 chip? Doesn't appear to be new AirPods, just an updated (optional) charging case for Qi. Wireless charging is convenient, but I still prefer lightning and I'm not entirely sold on the charging pad yet. glad my 2 or 3 weeks old airpods or not yet outdated afterall. I think I’ll hold off for one more year and see if Apple releases a v2 of the airpods...unless the current version goes on deep discount. No worries!! Go to amazon and search "AirPod skins". They have black and they look awesome. I'm also considering the connectors that go around your neck. They have magnets and click together around your neck. Pretty awesome and not very expensive. I don't want skins. I want native black. Why? Wireless headphones deserve wireless charging. If you want cable-less, why not go all the way?